Great interview on calvinayre.com. Dan talks about Poker, Model Citizen Fund (Charity) and his latest entrepreneurial Projects. “Yesterday, I was fortunate to speak to the poker player and entrepreneur, Faraz Jaka, and today I continue that trend by speaking to Dan Fleyshman. A poker player, entrepreneur, philanthropist and genuinely down to earth nice chap. In a business where bankroll management is so important, the likes of Fleyshman and Jaka are excellent role models. It makes sense to have multiple streams of income, so when the poker is not going as well as it should, there are other interests to stimulate you and to provide you with a different way to pay the bills. “I am the Director of Gaming at Engage:BDR and I hire and train for a company called Mopro. We have just raised $21 million and hired 170 people and I am training them how to sell. It’s been going so well that they keep hiring every week so I have to keep training, which means playing less poker. Poker is a passion for the long run. 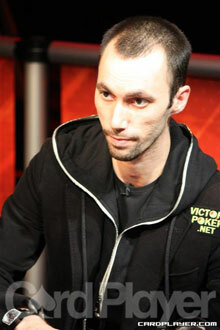 But there are some business things I will like to get done before I settle down and play poker.” Said Fleyshman.